First presented at the 2000 Square Millennium Event together with FFIX and FFXI, Final Fantasy X was the most ambitious rpg ever created by Square. Unfortunately, some of the most interesting features of the proto are not found in the released version. As you can see from the pics present in this page and from the video, the first area showed at the SME was an alpha version of the Calm Plains, featuring a different and a better animated Tidus. The other area present in the proto was an early and more complex geometrically Remiem temple, also found in the Calm Plains in the released version. It is really interesting that they showed (and created) first two areas found only near the end of game. Maybe the original intention of the programmers was to create a more open ended game like FF11 (and the future FF12) ? Another significant feature present in this proto and not found in the final version is the free-controlled camera. 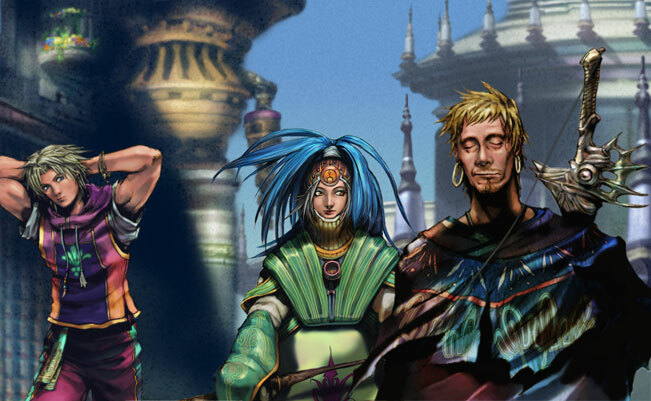 FFX was also intended to be the first game to use the services of Playonline, but the network was not yet ready at the time of game release, so Square decided to launch the game without it. Also Tidus and Yuna have a traditional Level Number so the Sphere Grid system hadn’t been implimented yet. Thanks to Lionheart we found out that in May 2009 a preview-build of the english version of FFX was leaked online: it has a debug mode at the main menu and the FMV’s are still in japanese but with english subtitles, also pressing select during gameplay brings up debug info. This build is about 2 months before the final release, so translation wise (you might even have some alternate voice recordings here and there too) – you might find some differences in that field. As Evilhamwizard has made us to notice, if you go from the title screen to EVENT and select the first guys name, there’s actually a newly created cutscene featuring an NPC (in this case, a not important character) which is probably modeled after himself about Yuna getting pissed off for getting almost hit with his blitzball. What’s really funny is that the game uses a sped up version of “Otherworld” (with different vocals?) as the scene goes on. Of course, you can press a button while it plays to activate the REAL debug screen. There are TONS of debugger jokes, kinda like what you find in FFVII, except more creative. Sadly, most menus are working incorrectly, some not even translated. But, there’s a lot of weird crap. For example, one of the programmers added a bunch of party members on this really scary looking map (not sure if it’s used, or even meant to be played on) – and if you talk to them (all female btw), they do all sorts of weird animation for you (perverted animation btw). For example, when you talk to Lulu, the camera sets on her breasts as she does her “Battle Victory pose” and doesn’t stop until you press X. Thanks to Ian, Lionheart & Evilhamwizard for the contributions! Last updated by yota at 16-11-2014 . Sad to see the better animated Tidus had to go… and the Playonline features too. Also Tidus and Yuna have a tradtional Level Number so the Sphere Grid system hadn’t been implimented yet. Not to mention that these screenshots carry an early version of the FFX logo (see upper right of menu). Does anyone have a larger or clearer version of this logo? I don’t think I’ve seen this logo outside of this video. 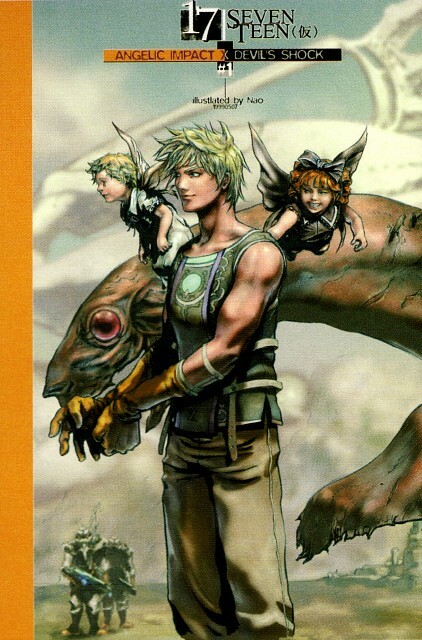 Tidus looks strange with black hair. I like how it’s also black in the artwork on the menu, even though that’s the same artwork I’ve been seeing for years (but with blonde hair). Alex if your just curious what the beta Logo looks like. It’s Yuna holding up her arm (similar to the final except she’s facing the viewer and the lower half of her body is cut off.) and the background has Cid’s airship breaking through the clouds along side Sin. A much cooler logo in my opinion. Well I last posted here 4 years ago, haha. I can report that Square Enix has since published the beta Final Fantasy X logo in both the FF 25th Anniversary Event Pamphlet and in the FF 25th Anniversary Ultimania book. I have both and hope I can do a proper scan in the coming months. You guys should take a look at that! Omg :”D it’s so awesome. Thanks for the link Baz! We really should update this page with more beta FFX stuff one day..
Plus there is unused music for this game and unused Buster sword from FF7 for Tidus. You can find each music in youtube. When you guys have time please add some unseen new of final fantasy x-2. I found some early concept ideas for the sequel of FFX also includes the contest drawing concept for final fantasy x-2 international + last mission. Any one else get a almost story board vibe from the 2nd video? Just my theory but, they changed Yuna’s “Thanks you” to “I love you” in the ending. Maybe they were just straight up going to expand the ending when making the NA version? Like the refinements made to FF7 between 1.0 and NA. Just the interactions lead me there. A blitzball comes, they all stare to see who. It’s that generic blitzplayer npc, Khimari and him seem to get larger (yelling, fighting?). Then Auron and Tidus coming to be met by them all like that. It is always “thank you” in the original PS2 Japanese version, and “I love you” in the North America/PAL/International version. I think jusg because Japanese people didn’t really say I love you except in a anime. I like Auron’s first design a lot, I suppose they changed him because there were too many blondes already. Yuna looks far more interesting in that concept too. Good luck with your website! I’ll try to support you from now on.